Never Enough Nails: I'm Not Lion, I Really Like China Glaze's Fall Colors! I'm Not Lion, I Really Like China Glaze's Fall Colors! Sorry for the silly title, but I happen to love the name of this polish. 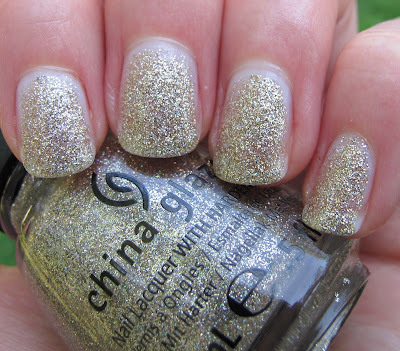 I'm talking about China Glaze I'm Not Lion, from the fall 2012 On Safari collection. I like this particular instance of word play, possibly just because I like lions. Anyway, I read somewhere that these On Safari glitters are like the China Glaze Ulta holiday exclusives from 2011 and they are a little bit, but don't read that as "dupes". 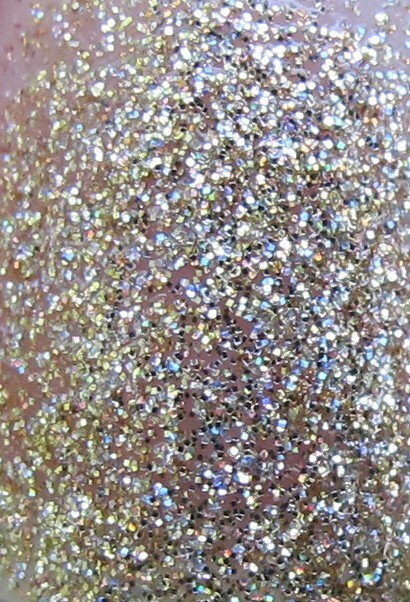 The holiday exclusives are more holo than the On Safari polishes, but they are the same texture of glitter. 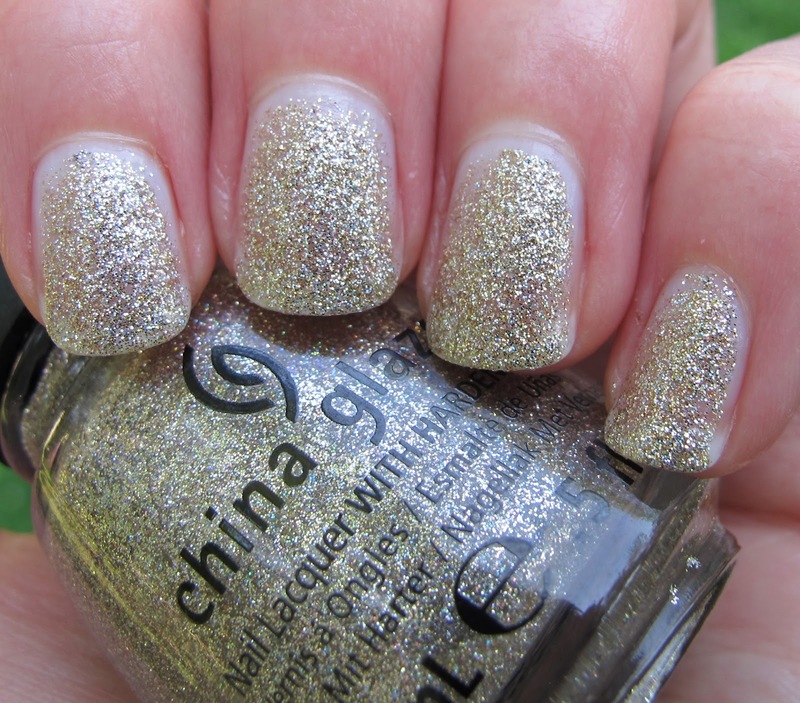 I'm Not Lion is a gorgeous white gold color fine glitter in a clear base. It builds up to full opacity very easily. This is three coats and I thought it was perfect. 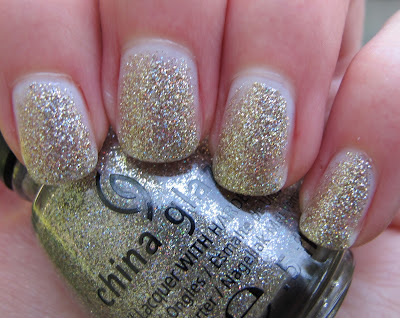 This kind of glitter is also IDEAL for sponging onto the tips of your nails. I have an On Safari mani in mind with this technique (pics soon!). I also love this kind of glitter for wearing alone. It covers really nicely and never leaves big patches like some kinds of glitter can. This is a glitter I will get a lot of use out of!!! 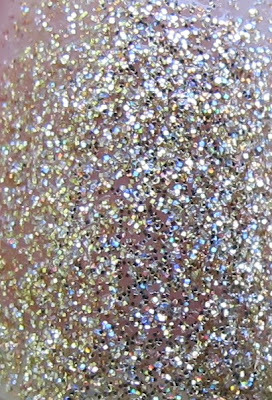 Blurry picture to show you that there is a teeeny weeeeeny dash of holo in here, but not too much. I really want the two glitters from this collection... they are SO pretty and I love that they cover so well. Thanks for doing swatches of this one! No problem Sasha! I'll post the other one, I Herd That, probably by Monday or Tuesday!